Water has a number of uses. Water supplies provide drinking water and freshwaters support considerable wildlife. It is therefore of great importance that the water is kept free from pollution. If treatments become too costly or if aquatic life starts to diminish, then it is fair to say that sustainable practices have not been adopted. Many pollutants can find their way into water supplies through spillages and waste dumping. The main pollutants associated with water include pathogens (viruses and bacteria), man-made nutrients (fertilisers) and heavy metals (including copper, lead and zinc). There are a number of agreements to protect water quality, including the European Union water directives and Agenda 21, which set out to protect freshwater quality and supply. 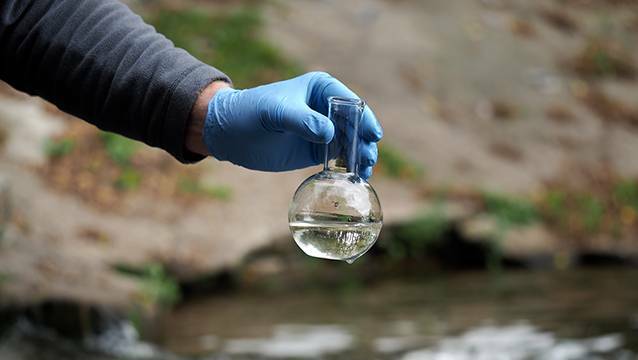 Data is collected at selected rivers, providing a summary of the pollution present and the efforts being made to clean up the water. Indicators describe the percentage of a population which is served by treated water, and which areas do not have access to properly treated water. Other useful information includes the extent of treatment being used. Freshwater resources are of paramount importance to all life forms. Poor management can lead to low rivers, water shortages, desertification, food shortages and the inevitable effect on the health of humans and on the environment. Sustainable management of water resources plays a major role in ensuring that water shortages do not occur, and Agenda 21 strongly promotes freshwater protection. This indicator shows the amount of water a given area has taken from its supply and is expressed as a percentage of the freshwater available.